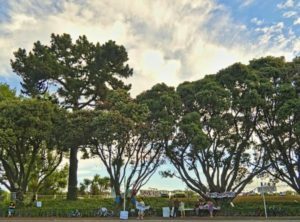 On Friday 20 February the Waitemata Local Board stood with the community to seek Auckland Transport Board support not to proceed with plans in Great North Road to cut down the 6 heritage Pohutukawa trees, and won. Auckland Transport are not going to accept the independent hearing panel’s recommendation to proceed with a second slip lane that involves the cutting down of the tress. Another way will be found. That’s what we said should happen all along. Well done to all the Pohutukawa savers – Patrick Reynolds, Jolisa Gracewood, Christine Rose and Patricia M Reade for your commmunity advocacy. Well done Lester Levy, Mike Lee and the AT board. Good afternoon, my name is Shale Chambers. I am the Chair of the Waitematā Local Board. The North Western Motorway on the eastern side of the St Lukes bridge intersection is the Local Board’s boundary with the Albert-Eden Local Board and on the western side of the intersection the boundary runs along Great North Road as far as Motions Road. The 6 Pohutukawa trees at 820 Great North Road threated with removal as a result of the project sit within land zoned as open space owned by Auckland Council and governed by the Local Board. As you will hear today these notable, majestic, heritage trees provide a range of environmental services and amenity values. They soften the impacts of the roading infrastructure; provide shade and protection; as well as being an iconic inner-city landscape feature in their own right. The Local Board has and remains supportive in general terms of Auckland Transport’s proposal for the St Lukes interchange, subject to maintaining the amenity and environmental benefits of the site, and ensuring that active modes of transport and public transport are properly supported. However, the Local Board did not support AT’s initial proposal, which involved the removal of 6 heritage Pohutukawa Trees. When this work was subsequently pursued as stage 2 works the board took the unprecedented step of submitting in opposition to the Notice of Requirement. This proposal was first discussed with the Local Board in 2013 at an all of Local Board workshop with Auckland Transport. At this workshop and a follow up workshop we made a number of comments about a wide range of issues. As well as asking Auckland Transport to consider options that retained the 6 mature Pohutukawa trees we provided feedback regarding the lack of positive pedestrian, cycling and public transport outcomes included in the scheme design. We challenged Auckland Transport to come up with a genuine multi-modal solution that took into account the location of the intersection within the wider Western Springs Precinct; the fact this is Auckland’s busiest cycling intersection on the southern side of the bridge, due to its connection to the NW Cycleway and being part of the Auckland Cycling Network; has high pedestrian use as a result of its proximity to key regional facilities, and is also one of Local Board’s proposed Greenway routes. The Local Board gave consent to the NoR Stage 1 in the context of not agreeing to the Stage 2 works as this required the removal of the 6 Pohutukawa trees. This agreed consent was to allow AT to enter onto park land and ‘trim’ the Pohutukawa trees to allow space for heavy machinery to carry out the works to lift and widen the motorway overbridge as well as associated works affecting the St Lukes interchange. I refer to page 4 of the officer’s report, which states that 6m clearance is required and will involve pruning 25-50% of the canopies of four of the Pohutukawa trees. This is not correct. At the time of consent for Stage 1, the arborist assessed the 6m as being unnecessary. This was subsequently agreed to by AT who confirmed that 5m was sufficient. Hence the conditions of the Stage 1 landowner consent stipulates “at existing kerb at 5.0m height from design level”. No more than 30% removal of the canopy was discussed at the time as anything more than this is unacceptable to Council’s arborist and the Local Board. Following the lodgement by AT of a NoR in May 2014 to alter two designations to enable progress of the Stage 2 works the Local Board both submitted and attended the November hearing panel to oppose the Stage 2 proposal. As part of this process we engaged our own experts to provide evidence. All but two of the 64 written submissions to the Hearings Panel on this issue were opposed to the loss of the trees. Of the 64 submissions, 54 of these including a petition with 1475 signatures were ruled invalid due to the use of an incorrect reference number on the submission form. Whilst it was within the commissioners’ discretion to exclude the invalid submissions we have raised concerns about the failure of Auckland Council’s processes that led to the use of an incorrect reference by submitters and the exclusion of the public from the process. We are also concerned that Auckland Transport has misrepresented support for the project and the extent of consultation that was carried out with mana whenua groups , MOTAT and with the advocacy group Cycle Action Auckland. It should be noted that since the hearing a considerable amount of information has been collated about the heritage of the trees that establishes when they were planted and why. It is my understanding that the Pohutukawa trees, that extend 550m along Great North Road, were planted on Arbor Day in 1934 when the land was developed as part of Chamberlain Golf Course. Now over 80 years old they have become a spectacular stand of native trees along the southern edge forming a welcoming boulevard as intended at the time of the planting. As we presented at the hearing the Board continues to be of the view that alternative options are available to AT to meet the desired transport outcomes that will retain the trees. NZTA and AT’s own expert backs this view. In September 2014 the Traffic Design Group on behalf of both New Zealand Transport Agency and Auckland Transport reviewed the Notice of Requirement for the additional left turn lane. The review reported that the benefit of the two lanes is only in the PM commuter peak period and is only confined to westbound movements on Great North Road. All other movements at all other intersections are basically unchanged. The benefit of the two lanes is between 3.8 and 5.7 minutes in travel time savings per vehicle in the two hour PM peak based on 2026 predicted traffic volume. TDG reviewed the alternative option 6, which effectively gains the additional left turn lane at the expense of a through eastbound lane on Great North Road. They noted that Option 6 performs and has similar benefits to Option 1, which is the current AT preferred option for Stage 2. However Option 6 does not have the adverse effects of removing the trees. The report states that the basis for this option being rejected was centred solely on the flexibility to manage the network in relation to non-typical incidents. As such the rejection of this option in the Options report appears to be on the basis that a non-typical incident may occur and thus Auckland Transport requires an additional eastbound through lane, three in total in case a non-typical incident occurs. We would note that this additional provision of maintaining flexibility for non-typical incidents is typically not done in other areas of Auckland, especially in the congested PM peak. Rather it is based on sound transportation modelling of a typical peak period of which this option performs to a very similar level to the preferred option. Given the seriousness of the effects of this proposal on the environment we suggest that further consideration of the alternative options needs to be undertaken, particularly in light of wider plans for the area. 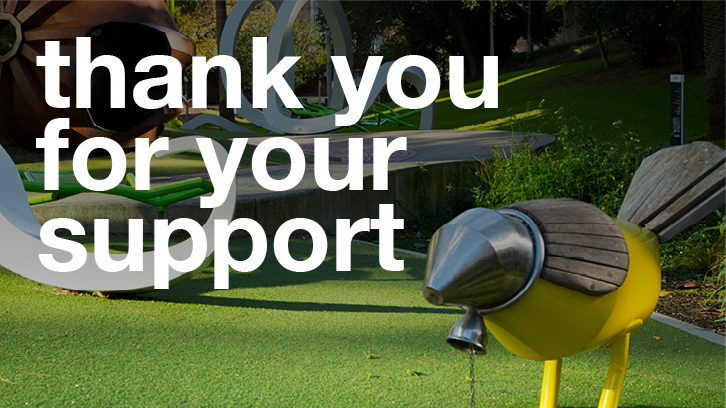 Information on the development of the MOTAT precinct only just becoming available this week. Decisions about this intersection should take into account the plans that have recently been completed and that will be developed soon within the wider recreation precinct area. These plans outline potential shifts in land use, which may well have impacts on vehicular, pedestrian and cycle movements as well as the future use of 820 Great North Road. While it could be argued that this area’s value as a ‘park’ is very limited – with its location, size and existing carpark use limiting options for providing park facilities, we suggest that it forms a key part of the overall assemblage of park and cultural amenities in this area, and particularly the highly-popular Western Springs/MOTAT recreational precinct. This proposal would turn the open space from one which supports the surrounding precinct visually and functionally, into a glorified carpark with little to no open space or landscape merit. We therefore suggest that the area needs further precinct planning to inform decisions about the carpark’s future use in light of the wider land use aspirations within the Western Springs precinct. The need for a masterplan is reinforced by the amount of planning and project work that has either been recently completed or is scheduled to be undertaken in the area shortly. The masterplan should bring these plans together so that they can be understood and considered in an integrated manner. The plans include Chamberlain Park masterplan, MOTAT’s planning work, the Waitemata and Albert Eden Greenways Plans and the Great North Road Corridor Management Plan. Regional Facilities Auckland are also advancing thinking about changes in use of the Western Springs outer fields which is associated with plans to optimise the use of all RFA stadium sites across the region. The current Precinct Plan completed in 2010 also makes reference to the need for intersection improvements and better provision for pedestrians, cyclists and public transport in this area. These required improvements, and implications for 820 Great North Road need to be further examined and understood in light of proposed changes to land use allocation that come out of such a masterplan. Significantly MOTAT presented their precinct plan development to the Local Board only this week which outlined proposed changes that could result in an additional lane being made available on the north side of Great North Road i.e. if the entrance way was relocated and the pathway moved to the other side of the tram tracks. There is an opportunity for AT to work with MOTAT, Regional Facilities Auckland and Auckland Council on the precinct plan to explore options for improved public transport options and additional road width within the Great North Road corridor. It should also be noted that the Local Board has consistently raised concerns with AT about the design of stage 2 works and the lack of positive outcomes within the overall scheme for people walking, cycling and using public transport. This has not been addressed, other than to promise reconsideration at a future date as part of the Great North Road corridor management plan. The issue has become much bigger than the future of 6 trees but is emblematic of AT’s approach to urban design and transport planning for a liveable city. You will be well aware of the significant wider community concern about the Stage 2 proposal and the negative publicity this has created for AT. We can expect to see further demonstrations being held at the trees with widespread community support. There is also a much wider issue behind why the community are so passionate about opposing this proposal. There is a deep seated frustration in how Auckland Transport has approached this proposal with the community including the lack of public visibility of the alternative options and their assessment as well as the substandard outcome of the proposal for pedestrians and cyclists. What is considered to be an undemocratic and unfair process due to the exclusion of submitters from the hearing process has been exacerbated by the AT Board refusing to hear from all those who wanted to speak today. What you will clearly hear from the community is that if the decision made today is to proceed, the community will appeal to the Environment Court. This will substantially delay the project. We understand that if the implementation of Stage 2 is delayed, Auckland Transport wishes to fall back on the consented stage 1 works as an interim measure. Unfortunately the community have an incredibly low level of trust of AT. The need to prune the trees for stage 1 is a risk for AT to consider if there is an intention of total removal. Any sign of work on the trees will signal to the community potential tree removal and incite further demonstrations. This will then have an impact on stage 1 works and the on- going costs of the project. We don’t believe that these risks have been made apparent to the Board. I want to put the Local Board’s position in clear terms. As I understand it, Auckland Transport has identified its preferred option based on certain transport outcomes it wishes to achieve but at the expense of the trees. The proposal will have a significantly adverse effect because the intersection will lose a number of trees of real heritage, environmental and amenity value. In terms of planning for development in this city isn’t it important to explore any and all options that will enable progress without significantly affecting the environment? The hearing process resulted in a recommendation only not a judicial decision. It is completely within the Boards authority not to accept that recommendation. 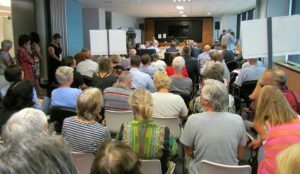 While we understand that ultimately it is for Auckland Transport to decide on the Notice of Requirement, the Local Board considers that our views and the concerns we expressed, and those of the community, have not been considered genuinely. The expert evidence we engaged and the new information that has come to light since the hearing indicates that we are right to hold these concerns. We are also concerned with the misinformation that has been presented to the AT Board for you to then make a decision from. We ask that the Auckland Transport Board show leadership on this issue and not accept the commissioner recommendation. We ask that you request the project to be paused and the plan reconsidered. This can then take into consideration the new traffic modelling following the opening of Waterview as well as one that is more appropriate for Auckland’s goal of being the world’s most liveable city. In 2 years’ time we would like to be able to thank the AT Board that we had the opportunity to pause to test the traffic modelling assumptions, save money by avoiding costly project delays, fulfil the potential of the intersection for all users and plan holistically within the wider context of the wider precinct whilst retaining these majestic, heritage trees.